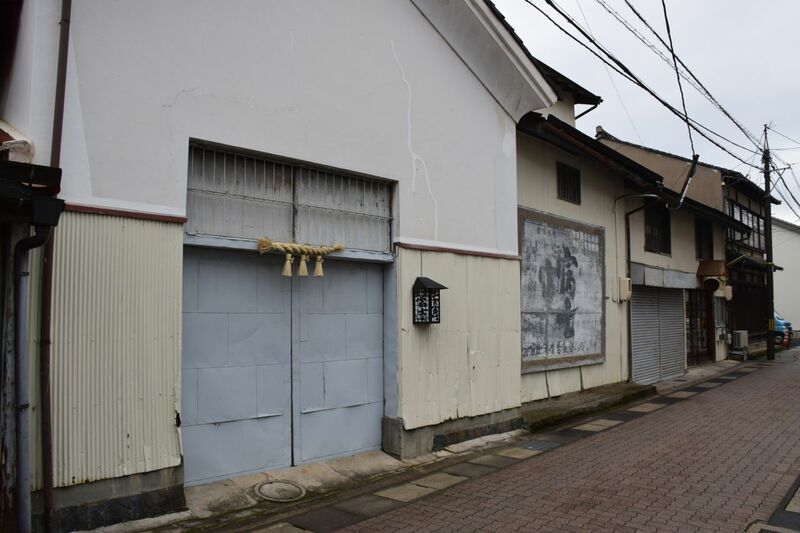 Located in Shimane prefecture, the Imaoka family founded the Fuji Brewery in 1939. Izumo, the town where the brewery sits, is famous for its shrine called Izumo Taisha, built in the 8th century. This shrine is regarded as the oldest and most important shrine in all of Japan. Shinto deities from all over the country come to Izumo in October to answer the prayers people have made about various aspects of their lives throughout the year: love, romance, weather, crops, and connections in business. In its name, Izumo Fuji sake pays admirable tribute to both this shrine and Mt. Fuji, the most loved and revered symbol of Japan. Accordingly, founder Shoichi Imaoka’s passion was to create sake that would be loved by all people, rooted in the land of Izumo. Throughout its history, Izumo Fuji has brewed sake to create strong relationships between people and between people and food, more than any other sake in Japan. Mr. Imaoka operates the Fuji Brewery independently with just 3 kurabito, or brewery workers, and produces 300 koku (1 koku = 1800L), the Japanese measurement for brewery size. This is Joto Sake’s smallest brewery. The family believes in old school and traditional brewing practices passed down from generation to generation. Even today, they have no modern machines. Every step of the brewing process is done by hand: steaming using an old-fashioned Japanese steamer, koji-making, and pressing by fune press, or wooden vat. 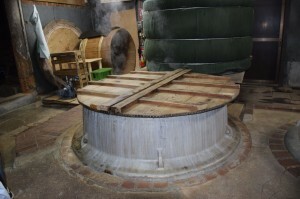 Fune pressing can take days but is very gentle and yields soft and smooth sake. Most breweries reserve fune pressing for only top end sakes for ultra delicacy. Fuji brewery does this for all of their sakes. The brewery mostly uses rice locally grown in Shimane. The main variety is called Sakanishiki, which is cultivated by local farmers specifically for Fuji Brewery. They cultivate this rice using all sustainable methods, which is crucial for quality, but takes enormous effort and dedication. The water of the area is very soft, which is perfect for sake brewing. 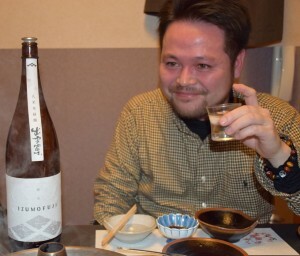 The style of Izumo Fuji sake is loose, relaxed and expansive. Refined and sophisticated, yet unpretentious, it should be drunk fresh and chilled. The sake will please all people and is easy to pair with many foods. Bordering the Sea of Japan in Southwestern Japan, Shimane prefecture is blessed with many mountains, rivers and lands. The bounty of fresh ingredients from their own land and waters mean they do not have to preserve food and mostly enjoy fresh, seasonal and local foods. There is a strong food and beverage culture in Shimane, where people always drink during their meals. Foods like Izumo Soba, clams, Shimane Wagyu, mineral (salt) rich foods, dashi, fresh raw vegetables, and many varieties of seafood from the Sea of Japan are frequent delicacies enjoyed by the locals, and are perfect pairings with Izumo Fuji Sake.